The Army gets all the cool toys. 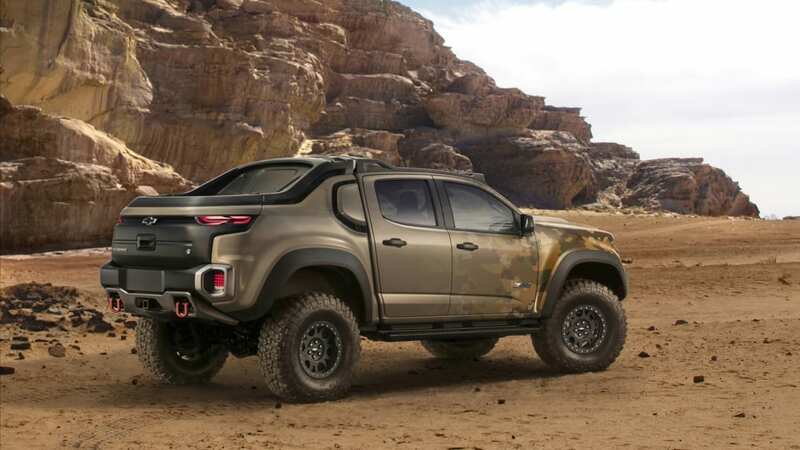 Case in point: the new Chevrolet Colorado ZH2, a badass concept with radically new sheetmetal and a cutting-edge hydrogen fuel cell. 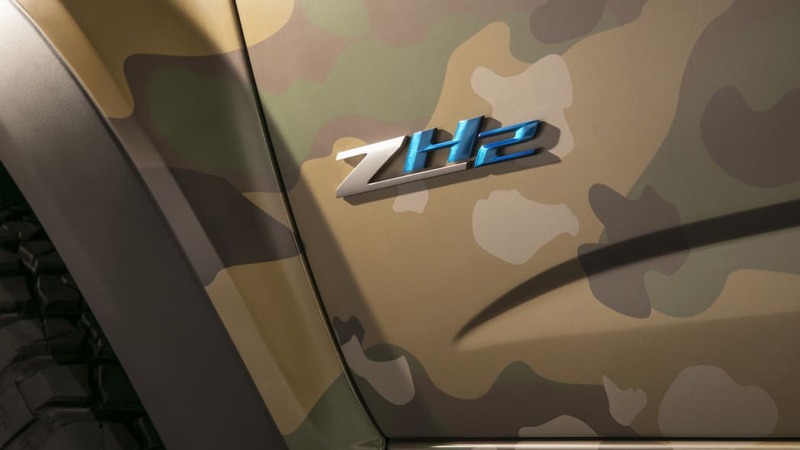 Developed by General Motors and the US Army Tank Automotive Research Development and Engineering Center, the ZH2 will study the feasibility of the advanced powertrain tech in combat vehicles. That starts with the fuel cell and electric motor. 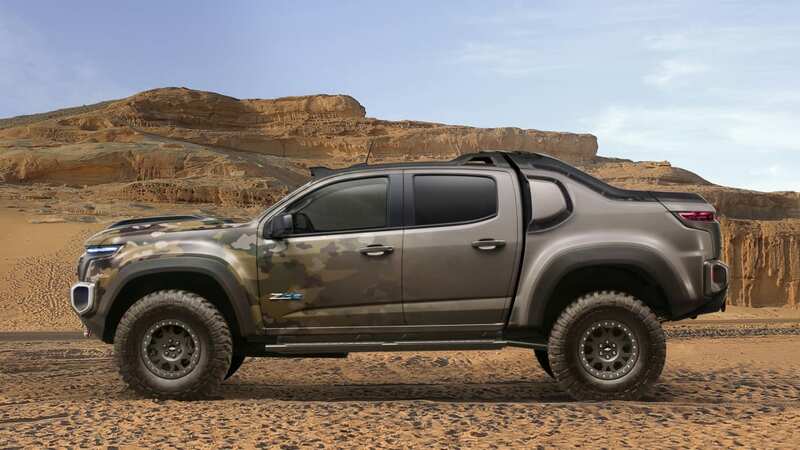 Many of the advantages inherent in electric vehicles apply to military applications. 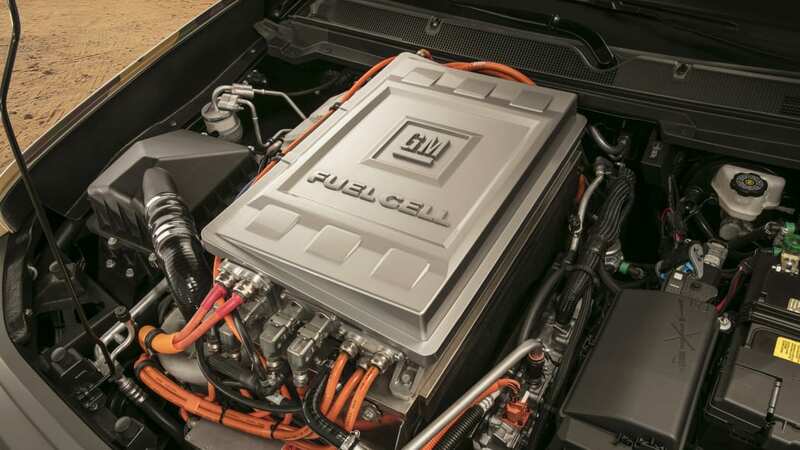 For one, EVs are remarkably quiet, both literally and thermodynamically – a hydrogen fuel cell just doesn't produce much of a thermal signature. And even though GM doesn't cite a specific output for the ZH2's system, it does claim "high wheel torque at all speeds," is available. 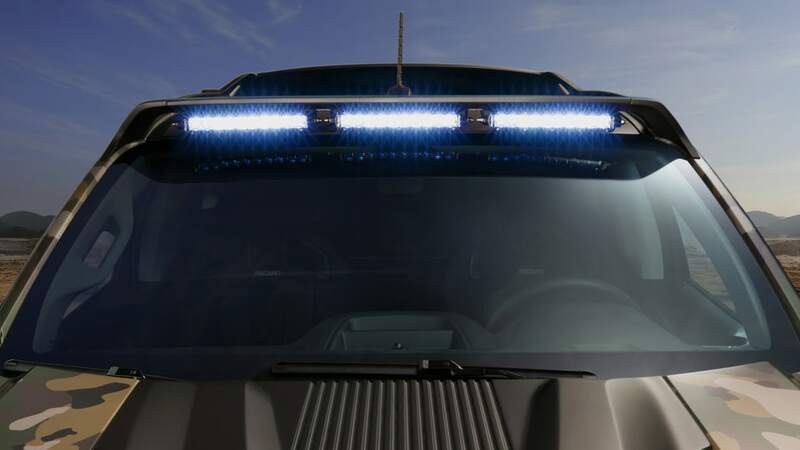 Each of those points is true of civilian-spec FCVs, but this military vehicle goes a step further than a Honda Clarity. 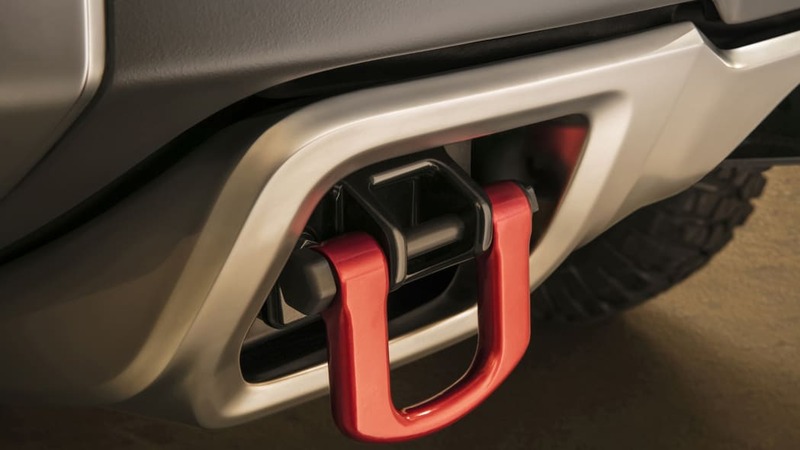 There's also an exportable power take-off unit, a detachable/rechargeable battery which GM says provides 25 kilowatts of juice to "power activity away from the vehicle." 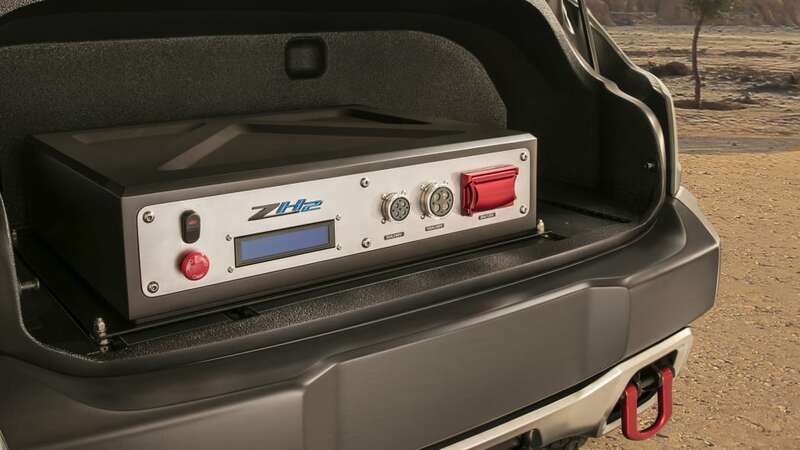 GM and TARDEC also engineered a system to capture the ZH2's sole emission, water. Both the EPTO and the on-board water generator could do wonders in either humanitarian or tactical operations. But let's talk about the actual truck itself. It looks awesome. 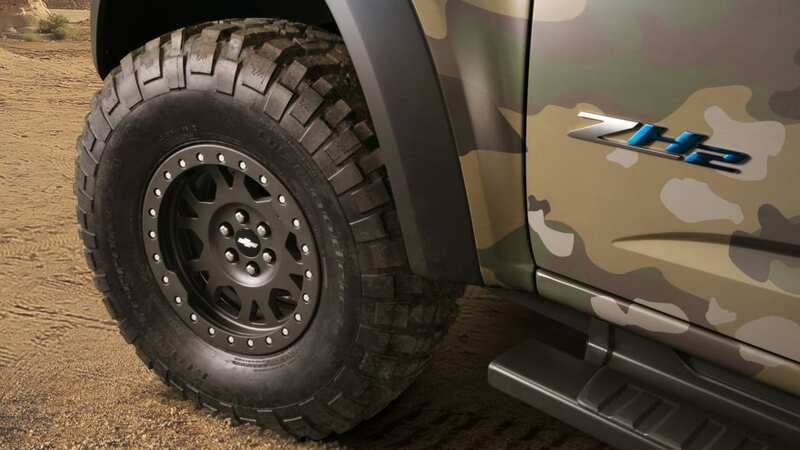 Standing over 6-foot-5 and stretching over 7 feet wide, the ZH2 is much more imposing than a road-going Colorado. 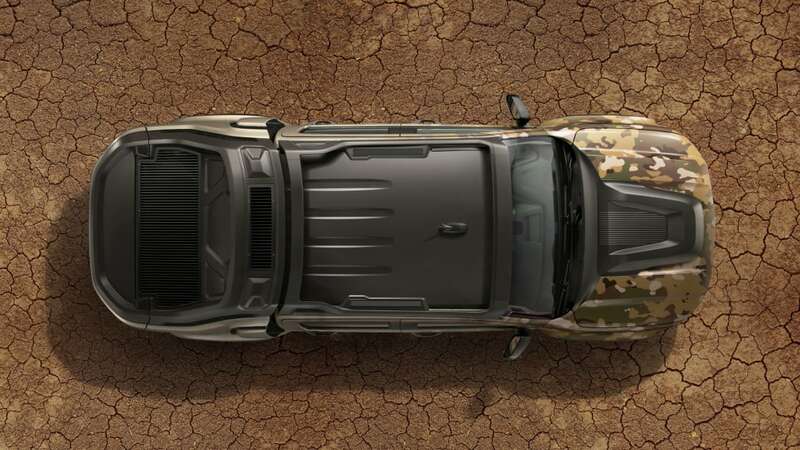 The menacing face, strong hood, and concealed cargo area are great looks, although considering the US military's near-constant woes over what kind of camouflage pattern is in vogue, we're wondering how the TARDEC brass feel about the old-school woodlands paint job. 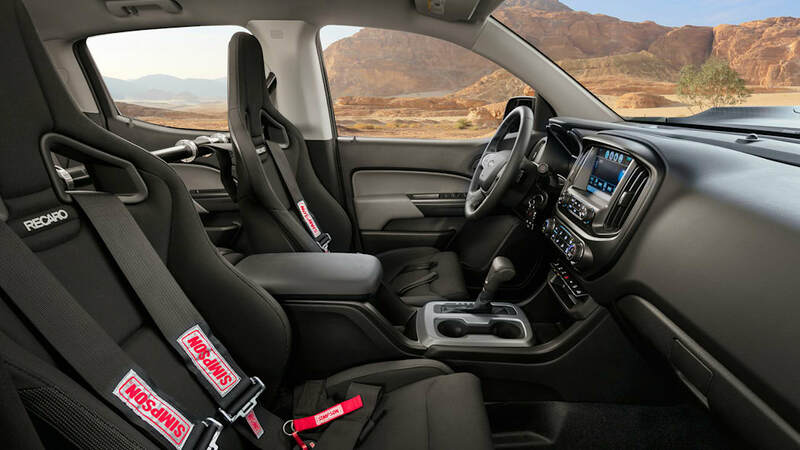 Changes in the cabin aren't so dramatic – there's a set of Recaro seats and Simpson racing harnesses, but otherwise, we're looking at a stock Colorado cabin. There's even a MyLink setup. 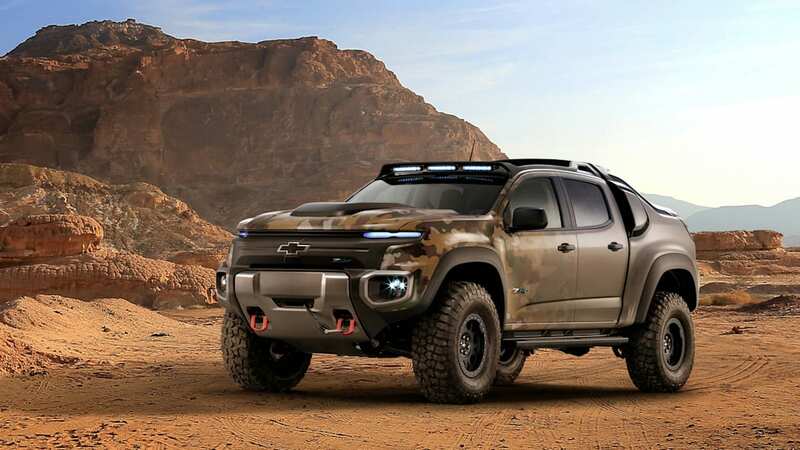 While the ZH2 is essentially a rolling testbed for a hydrogen fuel cell, it also needs off-road capability – GM's engineers at the Advanced Vehicle Integration facility in Warren, MI, fitted meaty 37-inch tires and "a specially modified suspension." 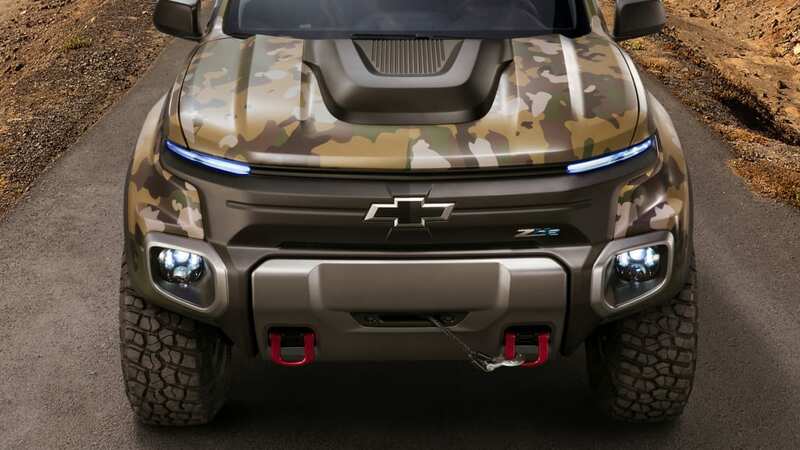 Specifics aren't available, but considering that the ZH2 is "leveraging a range of advanced technologies for multiple applications, including military," we're excited about what some advanced suspension tech could mean for the civilian Colorado. ZR2, anyone? 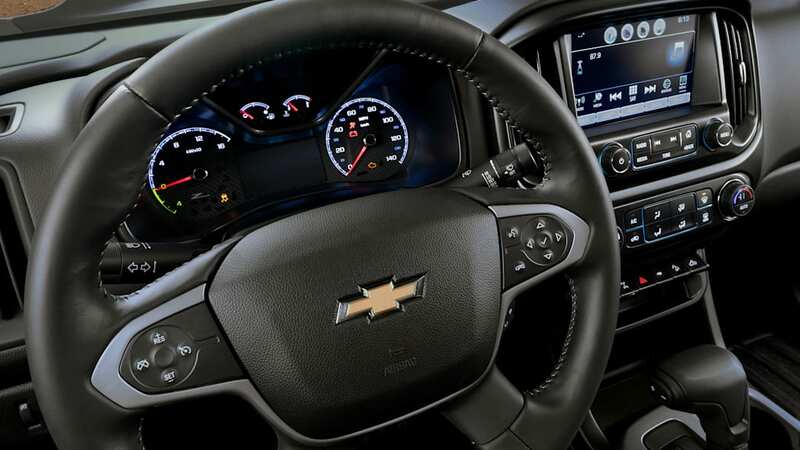 GM will handle ZH2 testing at its Milford Proving Grounds until early next year, before handing the truck over to the Army for testing in "extreme field conditions."